Please join us for a VIP party Friday, April 19th. 6 p.m. to 10 p.m. The artist and gallery owner Elena Ab will host the reception with the artists present. Featured artists: Jerome Obry, Ariel Shallit, Olga Chemokhud-Doty, and Elena Ab. Guest of honor — Robert Harris Rothchild, collector and renowned art critic. Please RSVP by April 17th to elenaab@me.com or call 917.691.5647. 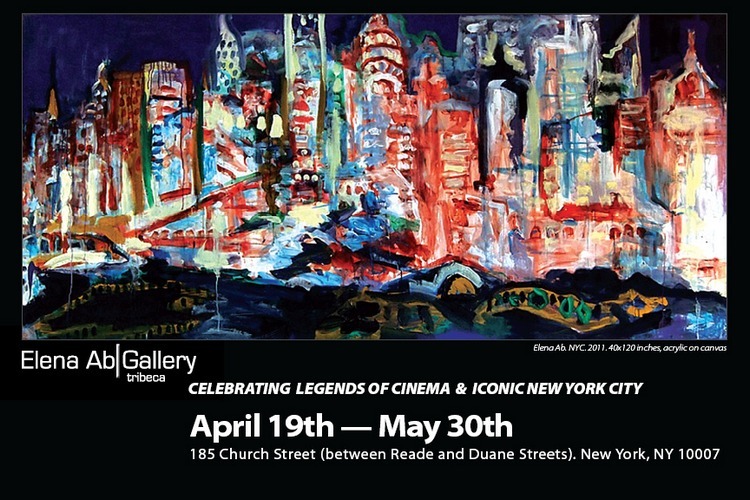 More info: elenaab.com & facebook.com/AbGalleryTribeca. The gallery hours in April: Monday — Sunday, 11a.m. to 8 p.m. or by appointment. In May: Tuesday — Sunday, 11a.m. to 6 p.m.